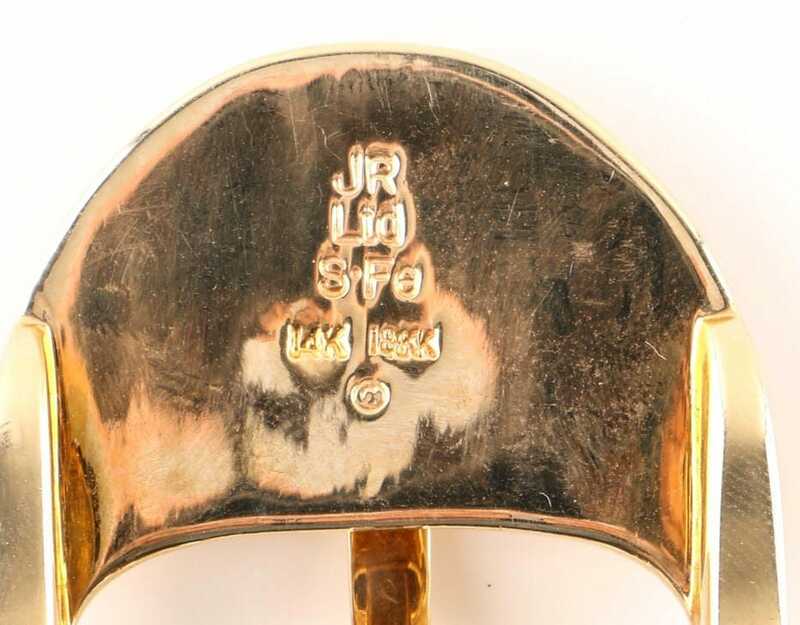 18KT and 14KT Solid Gold Buckle Set - James Reid Ltd.
Sold 18K gold buckle, keeper, and tip by master Santa Fe Jeweler James Reid. 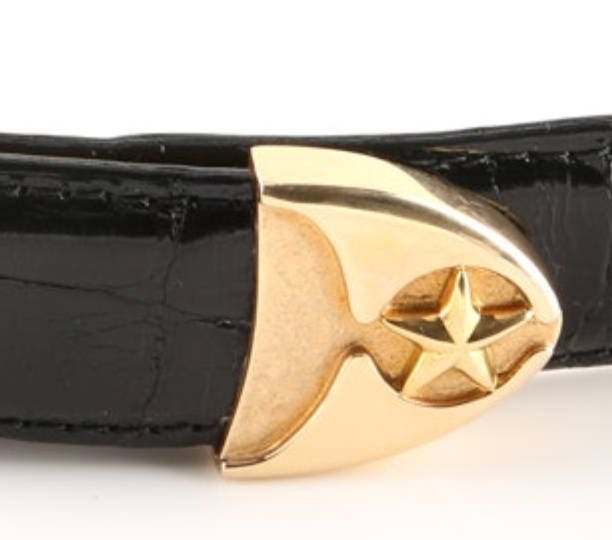 Pieces have a total combined gram weight of around 125 grams excluding the leather. 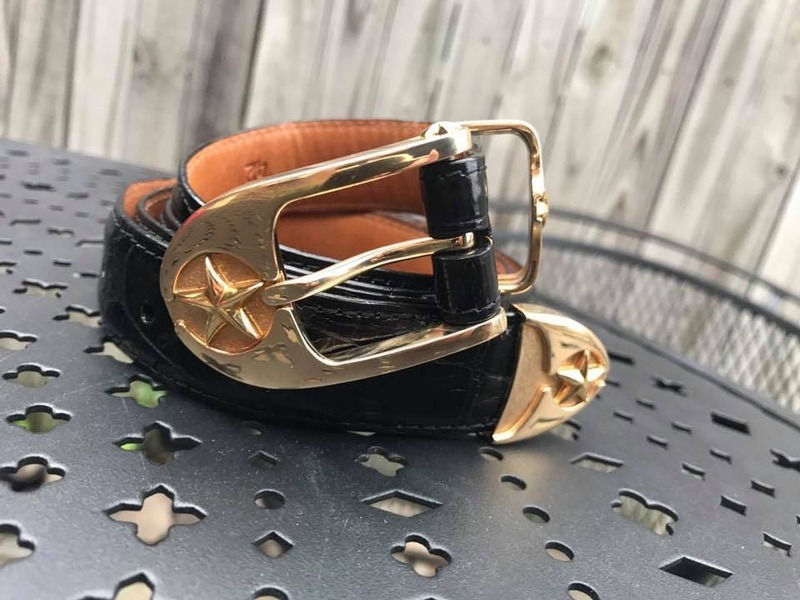 Distinctly and variously hallmarked: 18K, 14K, SFe, and Reid’s monogram stamp etc.. Buckle takes a 1" strap, so yes, it will work great with your tuxedo or suit. 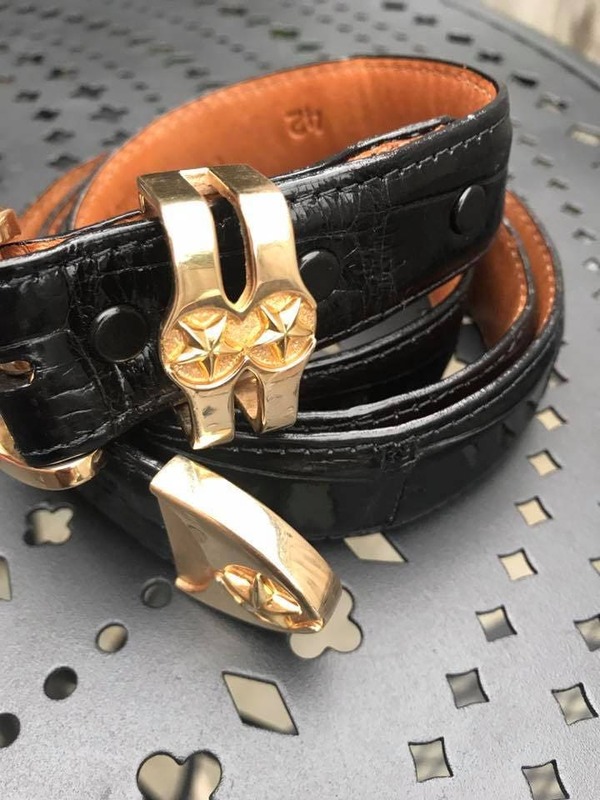 Comes mounted on the black strap about a 32" - 36", but if you want something special, I can get my leather workers to put it on a custom strap and I have numerous choices and sizes available. 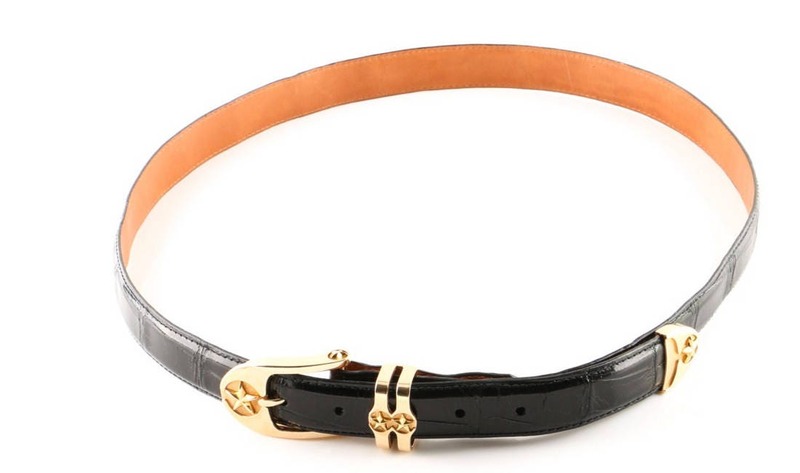 No charge for the strap. 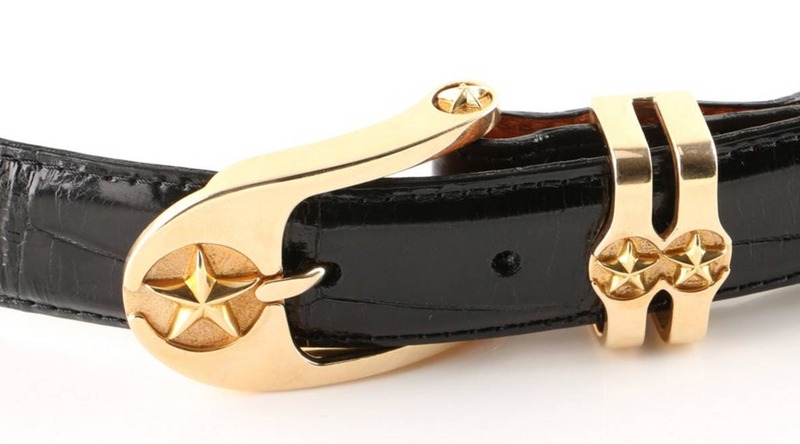 Reid is among the most important metalsmiths working in the United States today. The simple and refined elegance of his work sets him into a class whose greatness will continue to be realized for generations. Any piece from the Reid shop will be right at home next to your your Orms, Vogt, J W Cooper, and Silver King accessories. These would be suitable for a wedding gift, graduation gift, anniversary present or other major event. So fine you could wear them bursting with pride to your daughter's wedding. Condition is excellent with light signs of wear and scant surface scratches.